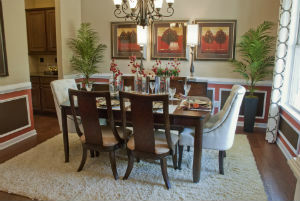 Ashton Woods Homes announces Highlands at Johns Creek, a new community in the Northview High School District of Johns Creek, Ga. Your family will love the location and homes! Highlands at Johns Creek is an intimate enclave of 23 estate homesites. Starting in the low $400,000s, these new homes will have 4 bedrooms, 3.5 baths and up to 3,894+ square feet of space. Buyers have 4 floor plans to choose from, and Ashton Woods Homes is now putting people interested on a VIP list to find out the details on the Grand Opening in late April. According to SchoolDigger.com, Findley Oaks Elementary, River Trail Middle and Northview High are all ranked in the top 15 for Georgia schools based on average CRCT Math and CRCT English scores. In addition top-quality schools, homeowners at Highlands at Johns Creek have access to some of the area’s best destinations. The community is a short drive from GA-400, North Point Mall and Lake Lanier, as well as numerous country clubs and parks.